The Oconee Youth Lacrosse Association (OYLA) is a community-based, all vounteer, not-for-profit organization that supports the Oconee Knights lacrosse teams. OYLA is dedicated to growing the great game of lacrosse while honoring the game's rich heritage and values like sportsmanship, team work and healthy competition. We have seen extraordinary growth in our program during the last seven years and we are happy to announce that both of the high schools in Oconee county will have boys and girls lacrosse teams for Spring 2019. We look forward to developing our youth lacrosse program to support these teams in the future. Oconee County is growing and so is lacrosse. As more families move into the area to take advantage of Oconee County’s award winning schools and quality of life, we’ve had an influx of lacrosse players, coaches and supporters. Most of the coaches in our program have years of lacrosse experience as youth players and at the collegiate level. The fever has spread and our local youth have responded by jumping in enthusiastically to learn the game. Without fail, those who come out to give it a try end up staying. And just because lacrosse is new to many of us doesn’t mean our teams aren’t good. All of our boys age groups have consistently competed at the top of their respective divisions. 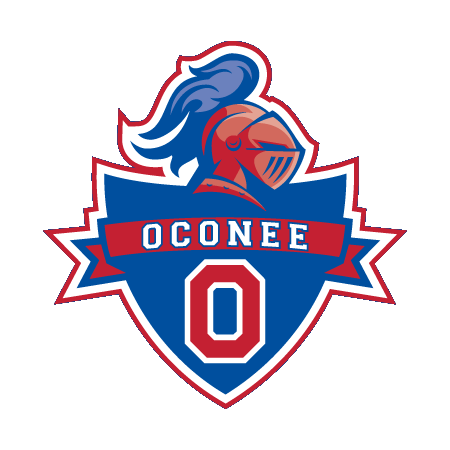 As part of the Oconee Knights, boys and girls in grades 1st through 8th will learn to play lacrosse, practice their skills and enjoy a team environment where all kids play on game day. To achieve high levels of success, OYLA depends on the help and participation of the players and their parents. We are very excited about the upcoming season but even more excited to see how lacrosse continues to grow in Oconee County. Thank you for your support!